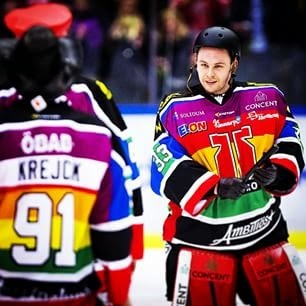 Last match, the Swedish Örebro hockey team donned rainbow jerseys in support of LGBT rights. 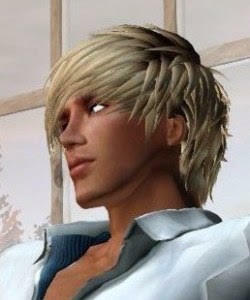 Before playing the match, Örebro held a lecture on LGBT people in sports and encouraged fans to wear rainbow pins and buy limited-edition pride scarves and jerseys. Örebro goalie Julius Hudacek is known for his post-game performances and has even earned himself the Twitter hastag #HudaShow. This time, after beating the Frölunda Indians 4-2, Hudacek led his teammates and the entire audience in a dance to the 1978 Village People gay anthem YMCA.